Some bands are just fully about expression. They don’t care about money or reputation – they just want to unfold what their creative minds meld together in their heads. One such band is this week’s featured artist: Archdruid. 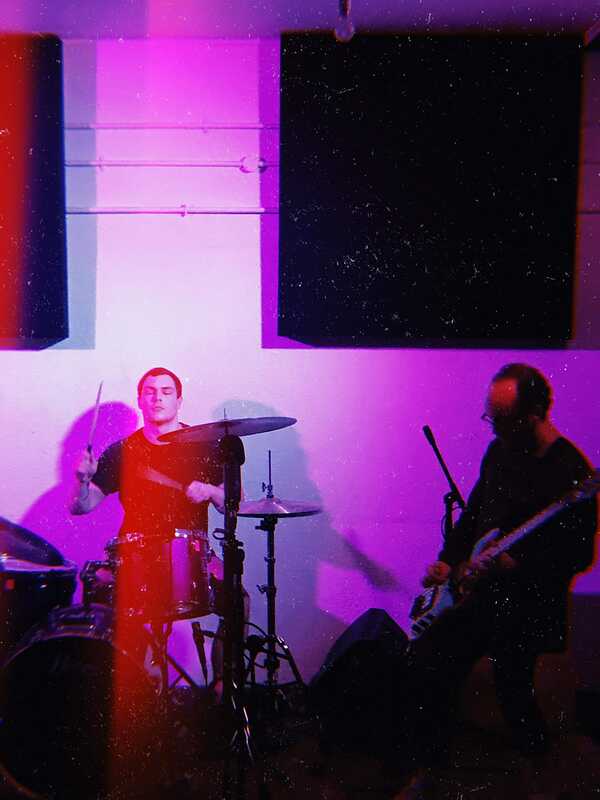 The duo, consisting of drummer Callum Whiting and bass player Dominic Coulon, play an improvisational, experimental mixture of post-rock, psychedelic and doom. Naturally, we start at the beginning (who would’ve thought), in which Coulon experienced peer pressure in high school to be in a band. While not quite the peer pressure others have experienced in high school, Coulon fondly remembers that most of his friends were in bands, so it was only natural that he wanted to join in as well. At first he kind of winged it, while slowly building up the skills and experience where winging it wasn’t necessary anymore. What follows were a few years he spent receiving formal training. During this time, his skills and tastes broadened, and the fantastical world of jazz began opening up in front of him. Though formal training was helpful, what interested him most was the social aspect of playing in a band. As we all know arranging band practices can be quite hard and when he met Whiting through a mutual friend, the two decided it would be the best to create this project as a duo. To further add to the fantasy feel of the band, they list Om and Led Zeppelin as their influences for having fantasy-inspired lyrics. While Archdruid is a purely instrumental band, their music is still conceptual and builds upon layers and layers of sound to form soundscapes just as fantastic as their influences. Personally I find their music wields some magic to draw the listener into a hypnotic world of sound. Next PostSwallow The Sun - "When A Shadow Is Forced Into Light"